Hence our new name – Cloth & Cord! 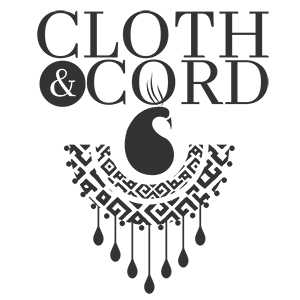 Not only do we have a new name, but this change will come with a full rebranding as well. Our new logo boasts a beautiful peacock with abstract printed double C’s for feathers and is symbolic of our colorful pieces and mixed pattern combinations. In addition to a new logo, we had a website makeover with lots of new features. This was quite the experience, we hired a marketing squad to help us come up with our new name and logo that consisted of too many creatives and designers to count. Sent out potential logos and company names to family and friends, who gave such great feedback. Took on a website redesign, updated online marketplaces, social media platforms, new DBA, updated ssl certificates, new shipping and newsletter templates, new logo images in almost every dimension possible for each platform, updated countless web services and long nites questioning everything! Huh…. that was a lot! But we are sooooo ridiculously thankful for everyone who helped us through this process! We’re so excited about the future of Cloth & Cord and hope that you will come along for this beautiful ride with us. We have the same quality, great customer service, company owner and attention to detail with a new look for the next step of our journey as a future jewelry industry leader! Note: We are also working on new product packaging which will be rolled just in time for christmas! Stay Tuned! E. Turner Couture started in it's very early stages selling couture children clothing and accessories but a love for the accessories soon took over the whole operation. 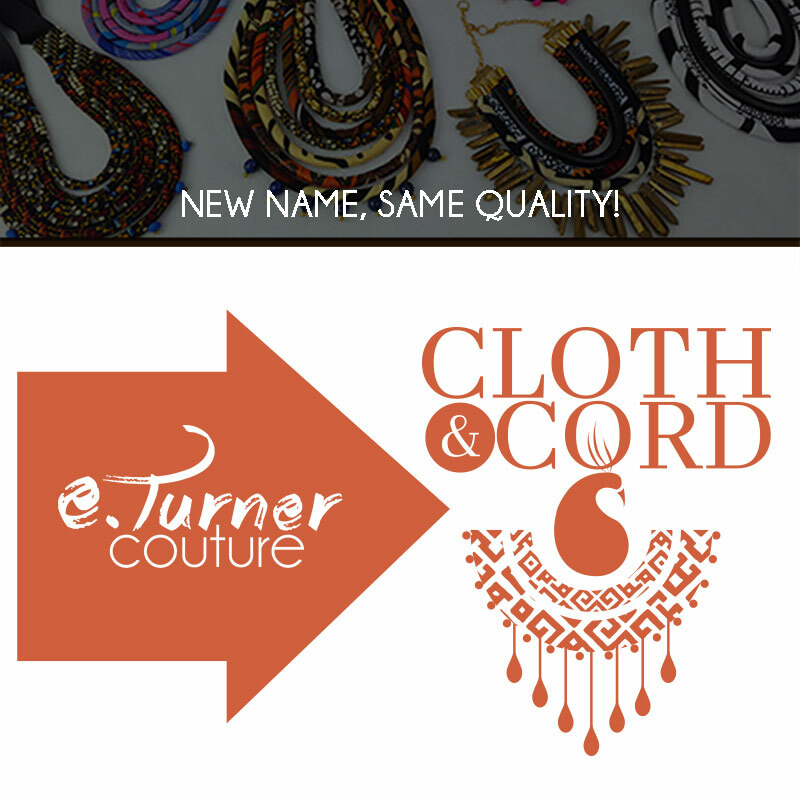 This entry was posted in Media, Press Releases and tagged E. Turner Couture, E. Turner Couture Jewelry & Accessories, eturner coture, eturner couture, eturnercouture‬, formerly e turner couture, new name.